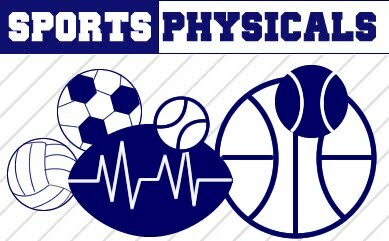 *Any student participating or trying out in any sport at West Geauga Middle School MUST have a OHSAA physical on file in the Middle School office before that individual can try-out or participate in practice. NO OTHER PHYSICAL WILL BE ACCEPTED! *Physicals are good for 1 YEAR from the signature date of the doctor. *All athletes must be eligible according to Ohio High School Athletic Association for Middle School Athletes, as well as West Geauga Local School District Bylaw and policy #2431. *Forms can be found on the middle school webpage. *Game/Meet schedules can be found on our Middle School Athletic Page on the left column by clicking on the desired sport. *There is a one-time participation fee of $110 for any student interested in playing a school sport. Checks should be made out to “West Geauga Board of Education”. If you have any questions, please browse this section of the website or contact the Middle School office. Please use the links below to complete your child's important and required information in Final Forms. Final Forms Link-Complete your child's athletic forms online! If you are heading to an away game and want to know how to get there, you are in the right place! Click the link below! Plan on trying out? Want to come to open gyms? Want to know the dates of tryouts? All that information and more is contained within! Click the 'more +' link below to get important updates!